This post needs to published mostly to clarify some issues in relation to terminology. The genetics is moving fast, and people are going to get overwhelmed. First, the term Aryan, or Arya, is not exclusive to South Asia. As most of you know it was used by many (though not all!) Iranian peoples. The Indic and Iranian branches of the Indo-European language family are close enough they form a very tight clade. The only comparison might be Baltic and Slavic, though some have asserted that that is due to the fact that Baltic peoples have lived so close to Slavic peoples for such a long time. Though in the main Iranian peoples are in close proximity to South Asia, or in West Asia (e.g., Kurds), one group is exceptional in that it has no connection to West or South Asia: the Ossetes. 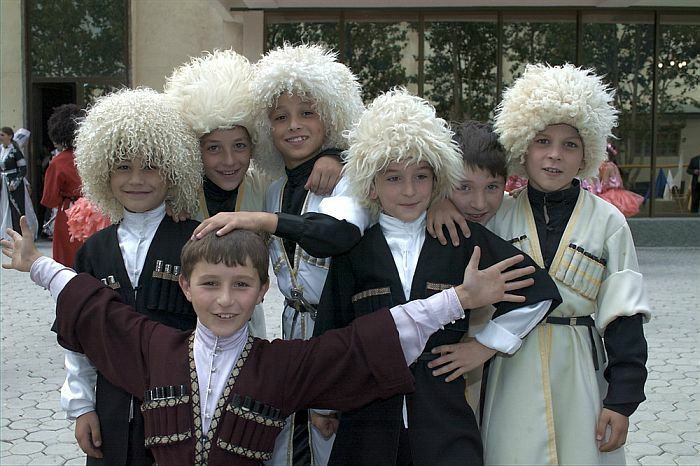 These people on the northern fringes of the Caucasus are descended from Iranian steppe pastoralists who never went south. You know them as Scythians, Sarmatians, and Alans. Second, the division between Indo-Aryans and Iranians predates the arrival of the latter into the Indian subcontinent and to West Asia. The latest genetic work indicates that steppe signal did not show up at BMAC until ~2000 BC. We also know that a group of Indo-Aryan provenance was in Upper Mesopatamia 1500 BC. In contrast, Iranian peoples show up to the east of Assyria ~1000 BC, and there were Iranian peoples to the north of Turan deep into antiquity (the Sarmatians who harried the Pannonian frontier were Iranian heirs to the Scythians). The “Indo-Aryans” who were integrated into the kingdom of Mittanni/Hanigalbat may never been resident within South Asia. Where the major pulse of migration went to the India subcontinent after 2000 BC, another wave probably sent outriders to the west. But where the Indo-Aryans in South Asia would have encountered collapsing IVC order, the societies of West Asia bounced back reasonably from the time of troubles around the turn of millennium, when barbarians from the northern and eastern peripheries (“wild Guti”) collapsed the Third Dynasty of Ur and Semitic pastoralists took the reins of Mesopatamian civilization. There are suggestive but very clear Indo-Aryan aspects of the Mitanni elite culture. But, by and large it was absorbed into the Hurrian substrate of the region. The analogy here might be what happened to the Turkic Bulgars in what became Bulgaria, as they were cultural absorbed by the Slavs over whom they ruled (or, the Scandinavian Rus). Let’s call these steppe people “Aryans.” Iranians and “Indo”-Aryans. How many are there around today? Let’s say 10% of South Asian ancestry is Aryan. This is very conservative (see this post). That’s 150 million people, 0.10 x 1.5 billion. There are ~200 Iranian speakers. There’s no way that 75% of the ancestry among this group is steppe. It is high in Turan and eastern Iran, but in populous western Iran and in Kurdistan the steppe fraction declines (Haber et al. found 7% “pure steppe” signal in Lebanon, so it’s not trivial even in western Iran, but it’s probably not going to be more than 50%). Most of the Aryan ancestry in the world is in India. That being said, one should not confuse South Asian culture with Aryan culture and Aryan culture with South Asia. The two are distinct. It is hard to deny that South Asian culture was strongly shaped by the Indo-Aryans; most of us (or our recent ancestors) speak an Indo-Aryan language. The Hindu priestly caste seems to have more Indo-Aryan ancestry, and some of their rituals and customs date back to the Vedic period. Only a few groups have zero evidence of steppe ancestry, even in South India. But Indian culture and Indo-Aryan culture in South Asia are not exclusively Indo-Aryan. The “Hindu religion” is diverse, but it is clearly not present outside of South Asia, except as reflux as South Asian polities and peoples moved to the margins of Turan (e.g. the Shahi kings), or through cultural and demographic diffusion to Southeast Asia (there is robust evidence of Indian genetic impact in places like Cambodia and Bali). I do not believe that Hinduism, and Indian culture more generally, can be understood without consideration of its non-Aryan component. The cultural archaeology of this is beyond the purview of this post, but I believe that like the Greeks the Indians were strongly shaped by pre/non-Indo-European currents. As Indian culture in the 1st millennium BC can only be understood as a synthesis between Aryan culture, and non-Aryan culture, the expansion of Buddhism into other parts of Asia, and more specifically to Turan, was not just of Indianized Aryan culture, but of an Indian culture which was a synthesis of Aryan and non-Aryan. It was something new, novel, and distinctive, that was exported throughout Eurasia. I think I would perhaps be correct in claiming India has the largest body of oral knowledge created, preserved and transmitted than any thing else in the world. Jainism, buddhism,atheism owe their origins to vedic speculations being preserved and their debating /speculating culture. Philosophical speculation is just not possible without memory being preserved in some way, it just wasnt true for anyone else except for vedic people. So, i disagree on this issue. 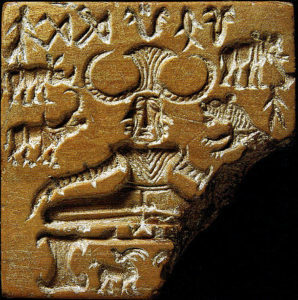 As for Indus valley, there seem to be aspects of goddess worship of some kind and associated human sacrifice. Many cults of human sacrifice continued with Goddess worship, kali for example. Brihadaranyaka upanishad, for example is quoted by both carvakas and Buddha himself. It is probably the most ancient upanishad, it asks the interesting question as to what survives after death, speculation is from, atman, to karma, idea of all things going back to their source, earth element to earth, water element to water, it compares the answer to what survives after a plant is uprooted, so if one qualifies question with God, what survives after death then one ends up with most of the spectrum of beliefs that come from India. sankhya- (ancient sankhya is unknown now, latest sankhya has similar model to david chalmers(they really deserve credit, this theory has been brought back independently by david chalmers), ofcourse there are differences, but one can bracket sankhya with david chalmers somewhat. consciouesness, matter being origin for everything else including intelligence. other hindu schools have God, karma,atman etc combination of things. There are other reasons to believe this, upanishads record sense objects, sense organs and knowing through them, this is reflective of later buddhism, One of Buddha teachers was a person who taught him an ancient form of sankhya. Buddha himself is to have spoken of different groups of vedic teachers to be authentic than others. In absense of memory preserving culture I do not know how can any of these ideas could have been speculated , recorded and preserved for generations growing into a community. This isnt possible, it might be a case that the people were from non vedic social back grounds were taking parts of vedic,Upanishads principles bit by bit as they saw fit and then have own schools but the ideas do seem to come only from vedic system of knowledge. Again, in order to have any worthwhile philosophical speculation of any kind one must first possess an ability to remember and pass it along for generations. This ability was possessed by vedic system . The name “Alan” is likely a descendant of “Arya”. The name might even survive to the present day in the name of the most populous Ossetian group, the Irons. There’s even evidence from Proto-Uralic (Orja, pronounced as OH-RIH-AH). Other words that may have roots in Áryas or share a common origin are: Hellene (originally pronounced AH-IH-LEHNE), Aristocrat, and the Irish (Muintir na hÉireann (AH-RIH-AN) or Na hÉireannaigh (AH-RIH-AN-NEIGH). Yes also the majority dialect of Ossetian language is Iron. We forget the extent to which Russia & the Slavs swallowed up Greater Iran. The Ghost of Greater Iran, which haunts Inner Asia and even the Balkans (my Serbian friend tells me that the Croat’s Iranian ancestry gave them a High Status during the Nazi era), is not so evident among the Turks, who imbibed so much of Persianate culture and became “Turanian” to some extent (Pan-Turanism means Pan-Turkishness). https://en.m.wikipedia.org/wiki/Uatsdin – the Scythian religion makes a comeback. As an aside I do think that if the Bahá’í faith becomes a major world religion; Greater Iran will rebuild herself. All the territories that once had some sort of Iranian link will rediscover it; history is as much myth as it is true. It was interesting to recollect that Avestan was an Eastern Iranian language. To think that Zoroaster arose a stone throw’s away (probably in Sistan or Ariana) from Vedic civilisation is fascinating to dwell upon. Oh yes, absolutely. Just like Christianity infiltrated Indo-European Europe, Ariana was also made to forget its roots by the Turks and Islam. I knew there were grassroot movements there, but I always thought they were minor fringe things (like European paganism), but now it’s the second time I’m learning of it, from completely opposite persons. Since that paper came out, I’ve been noticing lots of “Iranics” now claiming the Steppe heritage for themselves, and the same thing from “Aryans” of South Asia. Davidski tires himself having to repeat this over and over and over: They’re from Eastern Europe, not from “Western Eurasia” or “West Central Asia” or “Asian Pastoralists” – Europe. Specially Steppe_MLBA. While Europe_LNBA is about 50% EEF and 50% Yamnaya, Steppe_MLBA is 25% EEF and 75% Yamnaya. You could say that they’re the polar opposites from Iberians, 75% EEF and 25% Yamnaya themselves (I know they’re not, but I’m simplifying things here). They’re Europeans, those Aryan founders were Europeans – not their offspring, of course, those who continued their legacy. Also, the West_Siberian_HG component only appeared in the Steppe_MLBA populations that stayed in the Northern Steppe – those who descended South remained very much pure Steppe_MLBA until mixing with the locals. Now, you’re absolutely correct about the cultural part, they indeed changed things, added and lost, when going to Iran, India or staying in Central Asia, and they absolutely got influenced by locals. Actually Ossetians call their language Iron, which derives from Aryan. And afaik Alan derives also from the term Aryan. I love how its always hindu texts and hindu mythology that’s always used to justify someone else’s identity or views of themselves. I recently went on a trip to Japan and loved their culture, especially the Samurai stuff. If you do a proto-reconstruction, Samurai cognates to Damubai in Chinese which cognates to Danibai in Mongolian which then through steppe related genetics cognates to Danni bai in the proto-historic volga region and that cognates to Danny Boy where i live in Scotland now. Ergo ipso facto…. I, Danny Boy, am the greatest Samurai warlord that ever lived! I just don’t get why the Japanese people don’t under this basic science. On issue of genes, the west siberian component of inpe is larger than aasi? . Thanks. ASE (ex:asi) + ANE + UHG/Basal, is dominant root admixture in South Asians. ANE was dominant genetic admixture of steppe folks (ex: 50% +). ANE still remains dominant admixture in Central & South Asia, whereas in Europe it’s smallest admixture component. Additionally, all R’s ancestors (K2b, P*, P1) are deeply rooted deep inside Asia and are genetically ASE. Looking Reich/Lipson’s ‘Working model’ study Mal’ta boy ANE clearly gets his R from his ASE ancestors (P*/P1). When it comes to folk culture and religion, i see many shared traits with Southeast Asia, Eastern Asia and Oceania, not to mention our common shared root of origin through ASE ancestors, than i do with Europe/Mid.East. The “Hindu religion” is diverse, but it is clearly not present outside of South Asia, except as reflux as South Asian polities and peoples moved to the margins of Turan (e.g. the Shahi kings), or through cultural and demographic diffusion to Southeast Asia (there is robust evidence of Indian genetic impact in places like Cambodia and Bali). i mention southeast asia right there. what’s wrong with you? Yes but before we knew about the presence of W.Siberian HG admixture in S.Asians (who were there before steppe groups) we were being modeled with high EMBA (Yamnaya) steppe admixture, showing large steppe admixture in South Asians. Now, high EMBA (Yamna) steppe affinity seen in South Asians before – is split between MLBA steppe and Indus_Pre with W.Siberian admixture – Tiwaris went from 45% steppe EMBA to 24% MLBA steppe, Kalash went from 50% steppe EMBA to 28% steppe MLBA. My point was : All groups that came to South Asia were predominantly ANE admixed. There was right components in the region to form high “pseudo” affinity with EMBA (Yamna) steppe, before we knew about W_Siberian HG (high ANE group). Overall, ultimate break-down of all admixtures in South Asian admixture is = ASE/ENA + ANE + UHG/Basal. “the most likely location of the population that first spoke an Indo-European language was south of the Caucasus Mountains, perhaps in present-day Iran or Armenia, because ancient DNA from people who lived there matches what we would expect for a source population both for the Yamnaya and for ancient Anatolians”. He probably has aDNA from there and knows what hes talking about or else he would not make such claims, we will see in next paper. yeah. i hear he has stuff…. Razib I love your articles. Might genetic South East Asians be the original “Aryans”? Just thinking out load. Lol could be Aryans Daddy (P*/P1) instead. Intend to read up more on genetic research soon. Could you elaborate? There’s no consensus about the origins of P.
Ust’Ishim had the K yDNA, which separated from IJK (leaving IJ to Europe and the Causasus) and from K you have P, R and Q. These are ANE haplogroups that diverged tens of thousands of years ago in human populations who were unlike any other alive today or in the recent past. This Sharma guy is creating his own narrative, don’t mind him, there isn’t even such a thing as an ASE. ASE/ENA is used in various studies to mean the same thing, see Lazaridis et al. for example. Go read Reich/Lipson et al. “Working Model” study. ANE has a admixture coming from “Post-Onge/ Pre-Ami cline” groups who are ENA. He gets his R from his (P*/P1) ancestors, who were ENA/ASE. All populations who carry P* and P1 are genetically ENA/ASE. Deal with it. ENA exist, but they’re different from what you think they are. And of course, the ANE can be modelled as ~60% European, ~20% Melanesian and ~20% Amerindian (for the case of MA1 and Afontova). As I said before, if you keep coming back, P derived from K, which split from IJK, the haplogroups of Cro Magnon Europe and the Caucasus. But then again, people so far back in time are far away from anything we have today, not resembling any population (only due to PCA bias, maybe, but then you start working with more dimmensions and see that they’re far away from everyone). Also, don’t mistake signals from and signals to. These ancient population models are often ancestry to, not ancestry from. ENA = Eastern Non-Africans (generic umbrella term for East Eurasian component), ASE = Ancestral South Eurasians (another generic umbrella term for East Eurasian component). ENA/ASE diversified into everyone we see in East Eurasia/Australasia/including ASI in South Asia today. Both of these above terms are used interchangeably, we can see this in Lazaridis et al. and Reich et al. study and is an umbrella term for everything in East Eurasia. Lazaridis et al. also describes ANE as population on Onge->Han cline, you can see it in various charts from the study how it all comes together. Lipson/Reich et al. modeled them as receiving part of their admixture from (Post-Onge/Pre-Ami) group, again ENA groups. ANE inherited his R* from his ENA ancestors (P/P1) and mtdna U from his W.Eurasia ancestors. K2b lineages is deeply rooted in Southeast Asia, East Asia and Oceania and diversified somewhere near there. P*/P1 & rare P2 (all together in S.EA) carriers are genetically ENA/ASE, without any admixture from W.Eurasia. Over all, ANE admixture in Eurasia peaks in Siberia, Central & South Asia, West Asia (esp: Iran) and it decreases further west as we move into Near East & Europe. In ancient samples so far, it was highest in Yamnaya at 50%. Europeans passed through a purification process where the non-European part of their ANE heritage is being selected against. The same thing happened and is happening with their Neanderthal share. Just compare Bronze Age Europeans with today ones. Now, there were no ASE, as the recent Southeast Asia study shows, but there are the ENA. The ENA are just the non-Basal Eurasian clades, and Europeans aren’t just Basal either way. You’re stretching your argument too much to fill a narrative. K was from Siberia, it doesn’t matter where it is present today – same with P. Also, the lineages of today are different from the lineages who diverged thousands of years ago. C was also found in Kostenki, there was T in Europe too. This doesn’t mean anything far back enough because again, humans then were completely different from today, and simply migrated all the time, there were no sedentary humans back then. Also, if K is 40000 years old and R is 20000, this means that P is about 30000 years old. Again, do you even know how much diverged people were back then? There were no AASI, no Europeans, no East Asians, no Melanesians, not even the Africans were the same as today, and heck, Amerindians didn’t even exist by that time, there were even other hominids alive. You’re mistaking ancient clades for peoples. If you go far back enough, like you are now, when you cherrypick P, you’ll end up in Africa. India has undergone multiple large scale foreign invasions throughout its history, many of which resulted in a foreign elite establishing polities deep inside Indian territory. For e.g, the invasion of Alexander resulted in multiple Indo Greek dynasties in Western Punjab. Similarly, Huna and Kushana invasions, originating from Eurasian steppes, gave rise to kingdoms as far as Central India and Gujarat. (https://en.wikipedia.org/wiki/Mihirakula, https://en.wikipedia.org/wiki/Kushan_Empire). Then of course there was this thousand year long Islamic period spearheaded by Turkic and Mongol tribes, which may not have lasted a thousand years literally, but still lasted many centuries and spread to farthest corners of India like East Bengal and Deccan. Common sense tells me that these invasions should result in male mediated admixture events too. So why are we not hearing about them in the recent flurry of papers catering to genetic history of Indians. All we keep hearing about is genetic legacy of Indo Aryans coming from European steppes. Is is because the researchers are simply finding what they set out to find out in the first place? A case of validating a-priori assumptions?